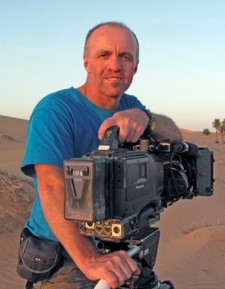 Cave filming work for the BBC's iconic 'Planet Earth' series led to an 'Award of Excellence' from the Guild of Television Cameramen. Work on 'Wild China' another BBC series included both underground and surface filming and led to the television equivalent of an Oscar with an EMMY award from the Academy of Television Arts & Sciences for Best Cinematography in a Natural History Documentary or Series. I had an interest in photography learned from my father. My school didn't run any photography classes but with Dads backing we persuaded them to let me do a CSE qualification in Photography which 'we' duly passed. From there, a year at art college led on to a Degree course in Photography Film & Television at Harrow Technical College in London specialising in industrial & Scientific images. life. Caves offered the ultimate photographic studio and a chance to capture images of a world that few get to see. Diving followed and ultimately combined into cave diving and the chance to explore and document some of the worlds last truly unexplored places. arth, Wild China and Human Planet. 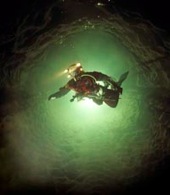 Personal film projects have included caves, cave diving and Greenpeace whale campaigns. Ever in search ways to document unexplored areas, a new passion for ROV's has led to designing and building 'NEMO' the worlds first underwater robotic vehicle purpose built for High Definition television filming work.